If you don’t get to our bustling B.C. neighbor nearly often enough, here’s how to do it in a day without breaking your bank account. I love going to Vancouver, B.C. But I don’t go there nearly as often as I’d like. A weekend away means that chores don’t get done, emails don’t get answered, books don’t get read, and you’ll need to get someone to come in and feed the cats. Besides, according to AAA, it costs 50 cents a mile to drive your car, so from Seattle to Vancouver (about 300 miles round trip) that’s $150, plus a hotel — equaling a chunk of your vacation budget. But don’t go for the weekend. Go for one day of the weekend. One long day. For the cheapest fare and the most time in Vancouver, take the earliest BoltBus (6:30 a.m.) and their latest bus back (6:30 p.m.), which gives you 7½ hours to explore. You’ll save money while snoozing, reading, free Wi-Fi-ing, and Getting Things Done while getting whisked to a foreign land for the day. Don’t be afraid to go by yourself — then you can do exactly what you want (and maybe experience more on your own). 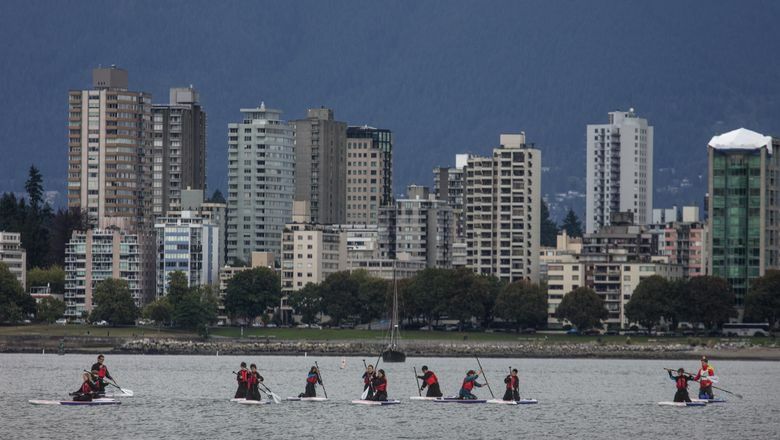 A first-timer’s fresh view of Vancouver, B.C. 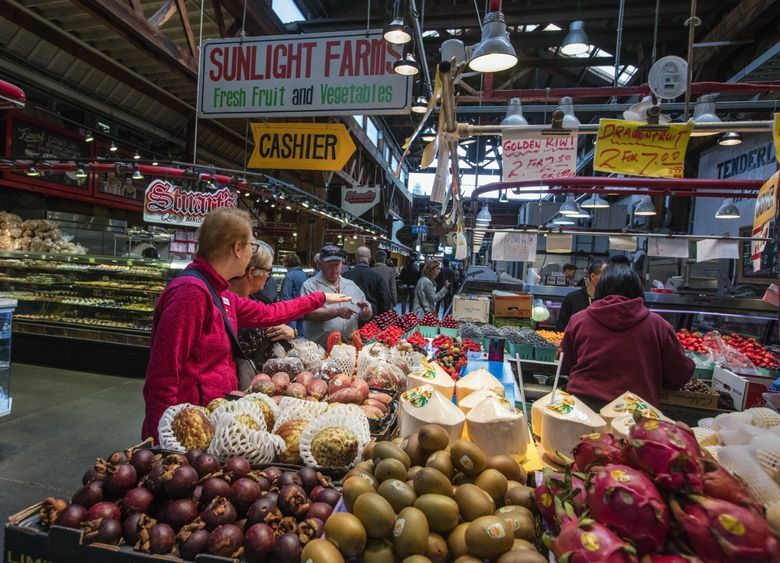 5 favorite places in Vancouver, B.C. One restaurant I love is at a cooking school open weekdays only, so I go on the Monday of a three-day weekend (make sure it’s a U.S. but not a Canadian holiday). I plan ahead because their reservations can fill up a month in advance. I first discovered this cafe at the entrance to Granville Island when a sandwich board outside caught my eye. 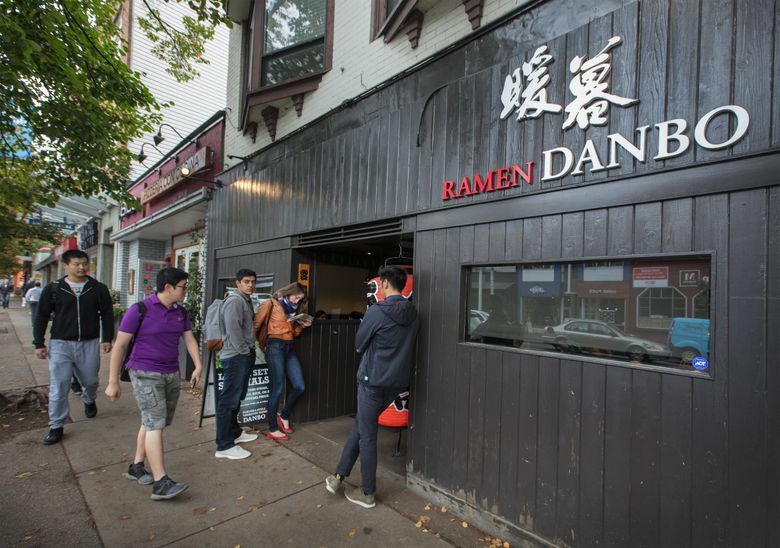 It promised a gourmet three-course lunch for what amounted to less than $19 U.S. Inside the luxurious interior, a young man was about to lead me to a table when an impeccably dressed gentleman intercepted us. The young man blinked and looked at me. I nodded, and thus began my dining experience at the Pacific Institute of Culinary Arts’ Bistro 101 Restaurant. To my white-tableclothed table overlooking the waters of False Creek, a young woman delivered fresh rolls, cheesesticks and a scone. 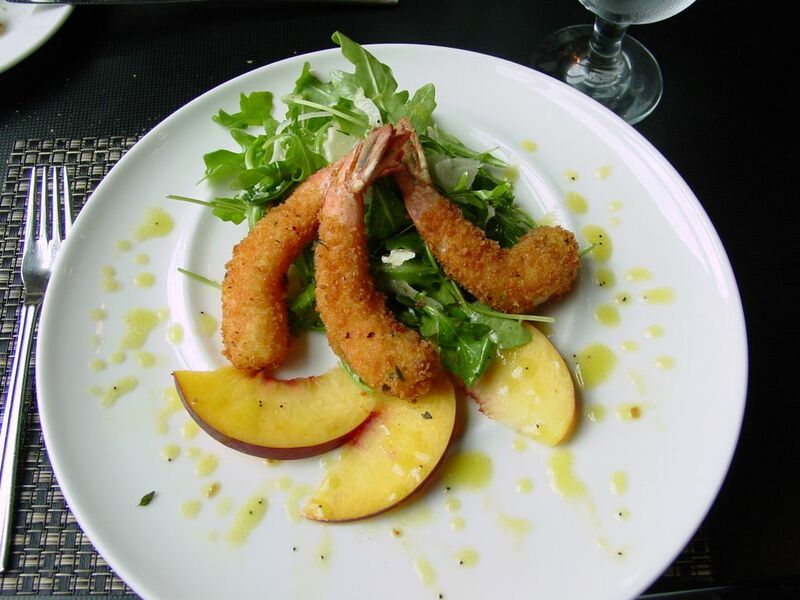 The appetizer was a small bed of arugula and fennel topped with three prawns and fresh peach slices. The perfectly cooked sockeye-salmon entree lay on a bed of Thai black rice. And the dessert had a chocolate cake base topped with espresso pastry cream (the server called it espresso bavarois). A scoop of chocolate gelato glistened alongside. I almost licked the plate. 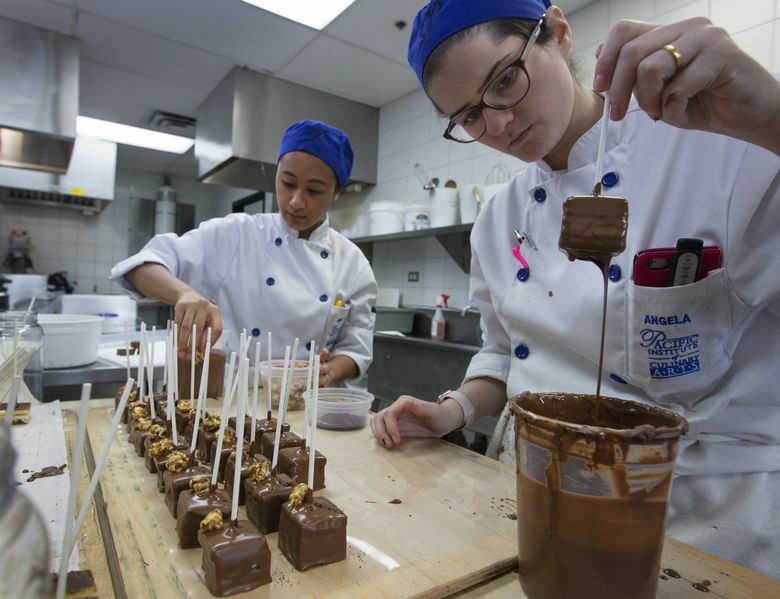 According to chef instructor Darren Clay, a shortage of chefs is currently causing a real crisis in the restaurant industry. “I get calls five or six times a day by restaurants looking for chefs,” said Clay, who works with businesses to place graduates. Before I left, I visited the school’s bakery for a loaf of fresh bread to take home. At the nearby bus stop, I caught a bus over the Granville Bridge to downtown and asked the driver to let me know where to get off for the Vancouver Art Gallery. Vancouver venues host wonderful exhibits that we often never hear about in Seattle — you just need to check to see what’s coming. In May, I went up for Vancouver Art Gallery’s special exhibit of more than 100 works of the contemporary Coast Salish artist Susan Point. It turned out to be one of the best art exhibits I’ve ever seen, with artwork from small prints to huge metal sculptures. 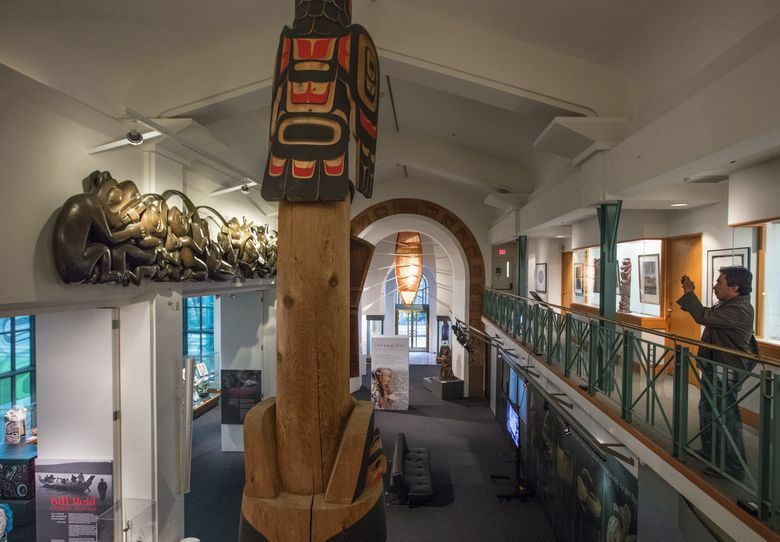 If you enjoy Coast Salish art, it’s just a block down Hornby Street to the Bill Reid Gallery, which features the art of this Canadian (Haida) master artist who was instrumental in introducing the world to the art of the indigenous people of the Northwest Coast. After an afternoon of art, I browsed the museum store, grabbed a quick snack, and then it was time to catch the SkyTrain back to Pacific Central Station for my bus home to Seattle. A lively, lovely day — with plenty of time for a snooze on the ride home. 6:15 a.m.: Board the 6:30 a.m. BoltBus in Seattle’s Chinatown/International District (bus stop is on the east side of Fifth Avenue South between South Dearborn Street and Uwajimaya). On a Sunday or holiday, you can park for free all day within a few blocks. 8:15 a.m.: Stop in north Bellingham (Cordata Station Park & Ride) for a 15-minute break (restrooms and a coffee kiosk nearby). At the border, disembark with your belongings and enter a building to go through customs (about 20 minutes). 10:30 a.m.: Arrive at Pacific Central Station in Vancouver. Leave the station, cross the street, cut left through the park toward the elevated SkyTrain light-rail station and turn right on Terminal Avenue East. Walk a few blocks toward what looks like a giant golf ball (the dome of Science World), then hug the shoreline to the left a few blocks to find the Science World/Village dock for the zippy little passenger ferries that ply False Creek (two companies, same price). 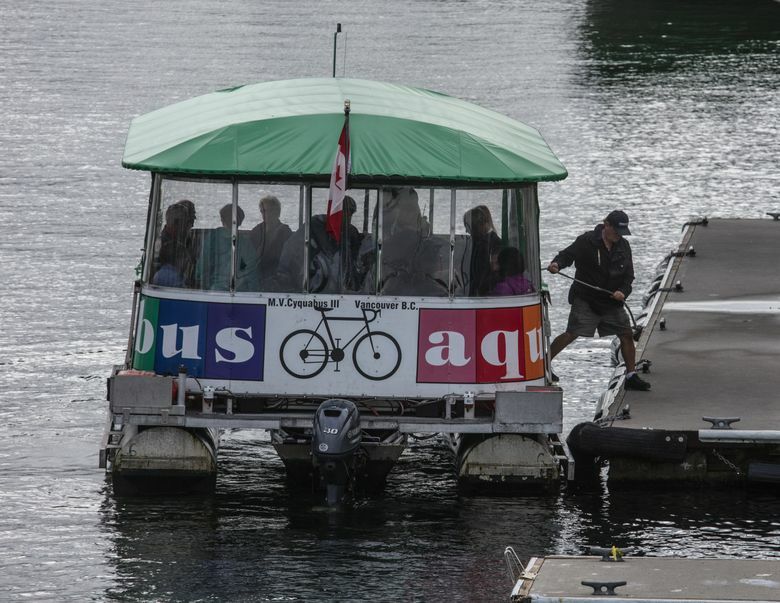 Take the next ferry to Granville Island ($6; 20 minutes). At the Granville dock, go up the ramp, keep to the right and walk down Duranleau Street, then turn right on Anderson Street toward the entrance to Granville Island. The Bistro 101 Restaurant is on the right just before you go under the bridge. 11:30 a.m.: Enjoy your lunch. 12:45 p.m.: Retrace your steps to the ferry dock, browsing galleries and shops as you go. In addition to the island’s covered market with food and craft stalls, don’t miss the artists’ studios, where you can admire one-of-a-kind paintings, sculptures and jewelry. 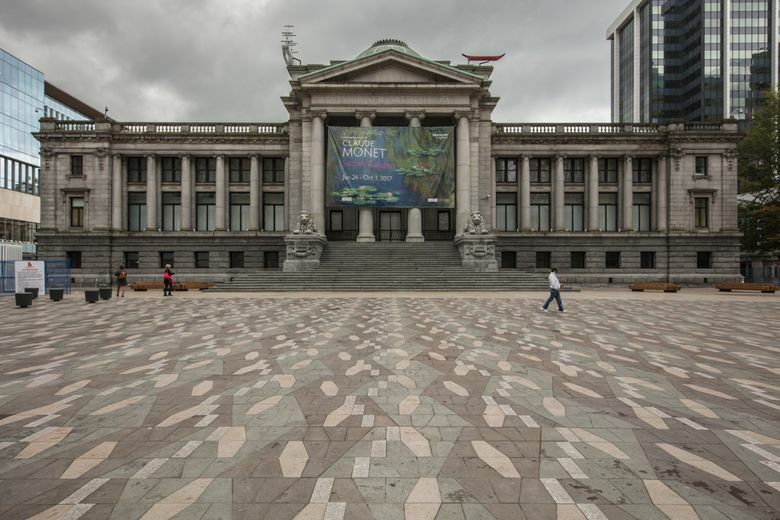 Take either ferry across the inlet downtown to the Aquatic Center (Burrard Street) or Hornby Street ($3.50), and walk up Hornby nine blocks to the Vancouver Art Gallery. If you don’t want to walk that far, take one of several buses to downtown ($2.85, exact change only; runs every 10-15 minutes; ask someone at the restaurant to point you to the nearby bus stop). 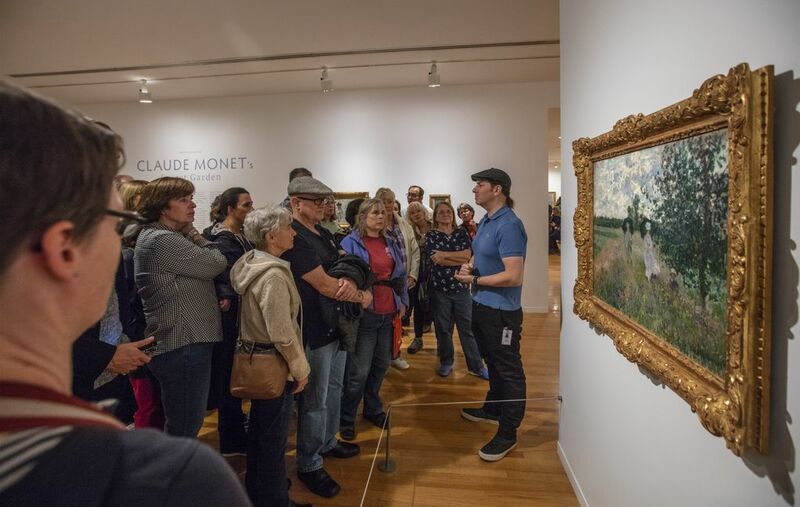 2 p.m.: Enjoy exhibits at the Vancouver Art Gallery (750 Hornby St.) and/or the Bill Reid Gallery of Northwest Coast Art (639 Hornby St.). 5 p.m.: Grab a quick bite. There are cafes on every block. Or do as I did and buy goodies at the cooking school’s bakery for your homeward ride. 5:30 p.m.: Take the SkyTrain back to Pacific Central Station ($2.85; runs above Dunsmuir Street, one entrance on Burrard; 10 minutes). PLAN B: Prefer a long walk browsing shops and walking a beach? On another visit I included the trendy Kitsilano district. 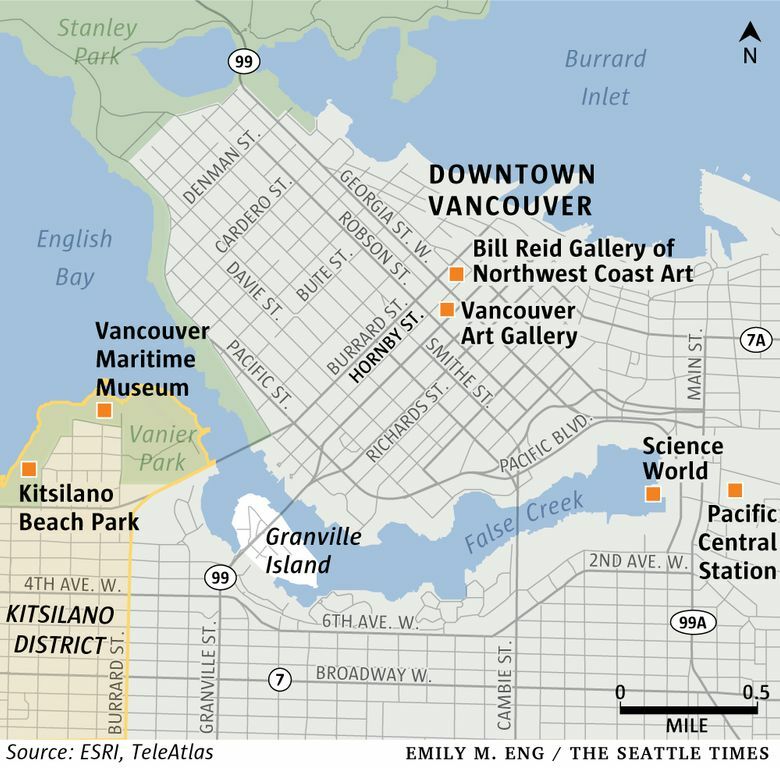 Leave Bistro 101, walk up the hill under the Granville Bridge three blocks and turn right on West Fourth Avenue. 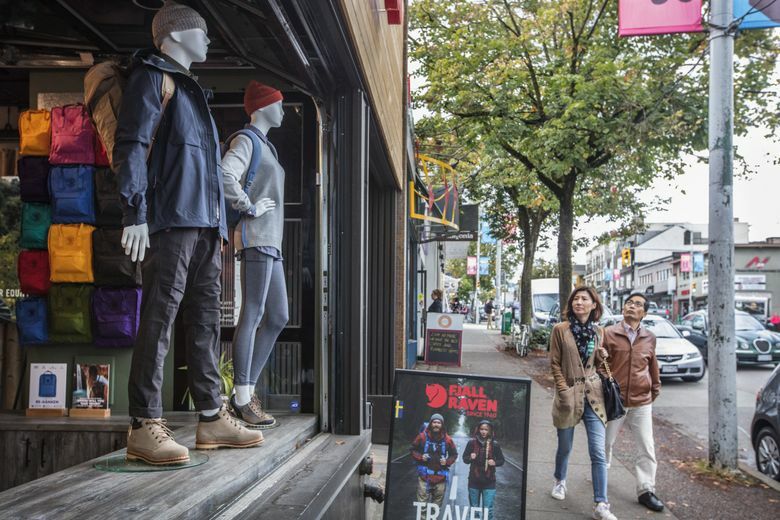 In a few blocks, you’ll be among the restaurants and boutiques of the Kitsilano shopping district. At Vine Street, turn right and walk down the hill several blocks to Kitsilano Beach (the huge saltwater public pool gets rave reviews if you go in summer). Above the far end of the beach, look for the ferry dock behind the Vancouver Maritime Museum and ride one of the little False Creek boats back up to the Science World/Village dock near Pacific Central Station (tell the pilot your destination; you may need to change boats at Granville Island, so allow enough time). 6 p.m.: Arrive at the station and get in line for the BoltBus, departing at 6:30 p.m.
10:30 p.m.: Arrive in Seattle. OK, so it’s a very long trip to do in a day. But you went there cheaply, you didn’t have to figure out what to do with the car all day, you ate great food, you saw wonderful art, you found a cool gift (like the $10 necklace of pink B.C. rhodonite gemstones I scored at the Kitsilano Salvation Army shop), you finished your book, and you took a nap. Plus, the laundry got done, the lawn got cut and no one saw how messy your house was when they came in to feed the cats. 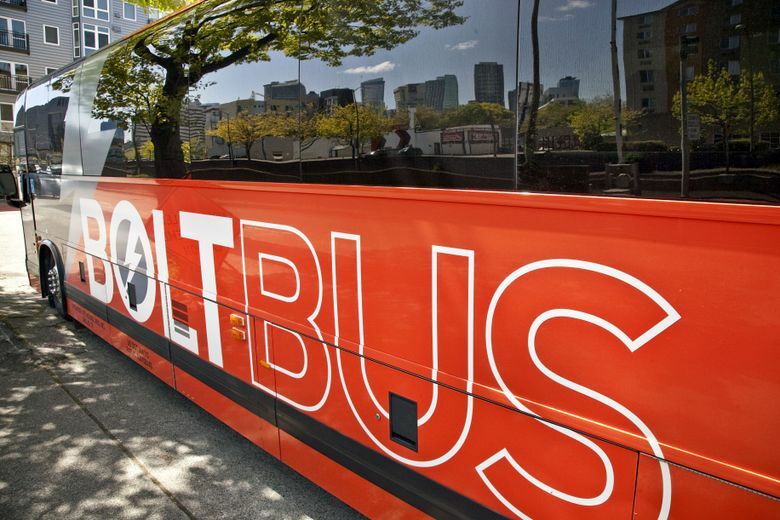 The Greyhound-operated BoltBus offers the most flexibility, with at least four trips daily each way between Seattle and Vancouver; price depends on when you reserve. The first seat on each bus goes for $1 (my last trip, booked a week ahead, cost $58 round trip, but I once got a $1 fare). Register for the Bolt Rewards program if only to skip the line at the bus stop and board first. Restroom and Wi-Fi on board (boltbus.us or 877-265-8287). 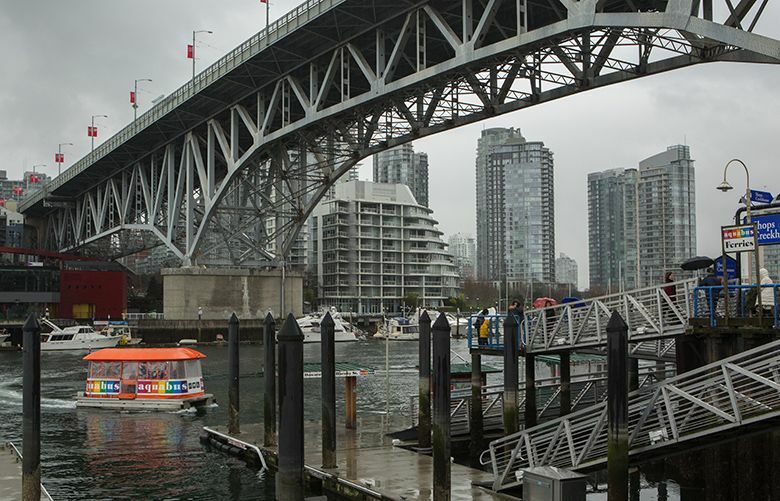 Both the False Creek Ferries (granvilleislandferries.bc.ca) and the Aquabus (theaquabus.com) run year-round. Information on buses, SkyTrain and more at translink.ca. Pacific Institute of Culinary Arts’ Bistro 101 Restaurant serves a three-course lunch ($23 Canadian) 11:30 a.m.-1:15 p.m. on weekdays only; reservations open 30 days ahead of time and fill quickly (picachef.com/bistro-101-restaurant or 604-734-0101). Vancouver Art Gallery, $6.50-$24 Cdn. ; vanartgallery.bc.ca. Bill Reid Gallery of Northwest Coast Art, $6-$11 Cdn. ; billreidgallery.ca. Remember, adult U.S. citizens need a valid passport or passport card, an enhanced driver’s license or a Trusted Traveler Program card to cross into Canada and back. Details at cbp.gov/travel/us-citizens/western-hemisphere-travel-initiative. Tourism Vancouver: tourismvancouver.com or 604-683-2000. Cathy McDonald is a Renton-based freelance writer.